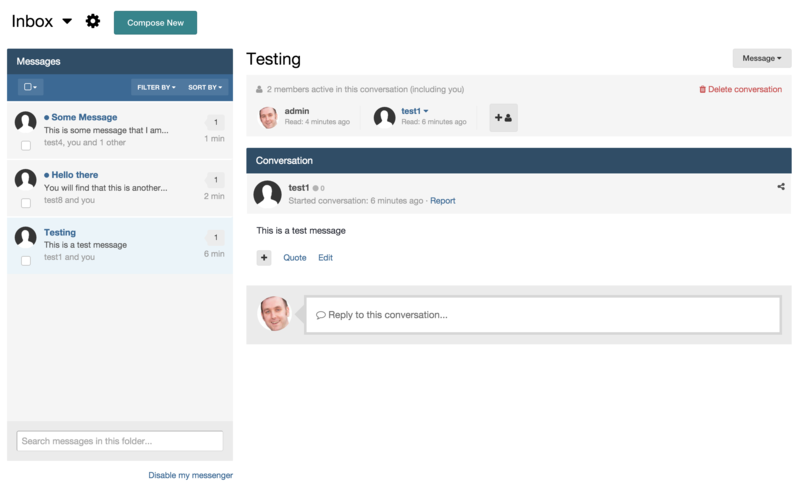 Sending messages between members in IPS4 is a simple but powerful tool you can use to communicate with your members (or they can communicate with each other) away from your community. When receiving a message, you will see a number appear next to your inbox icon showing the number of unread messages that you have. This would be similar to the image below. Clicking on the notification icon will show you the messages you have received. You can click on these to view any of the message or visit your inbox. You will see that you can also compose a new message from the same dropdown menu if you wish to do so. 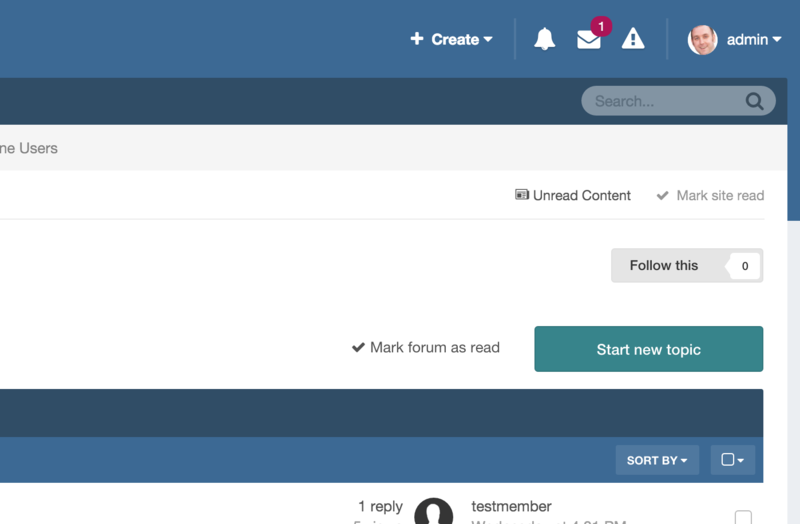 Composing a message is very similar to composing a topic on the site. 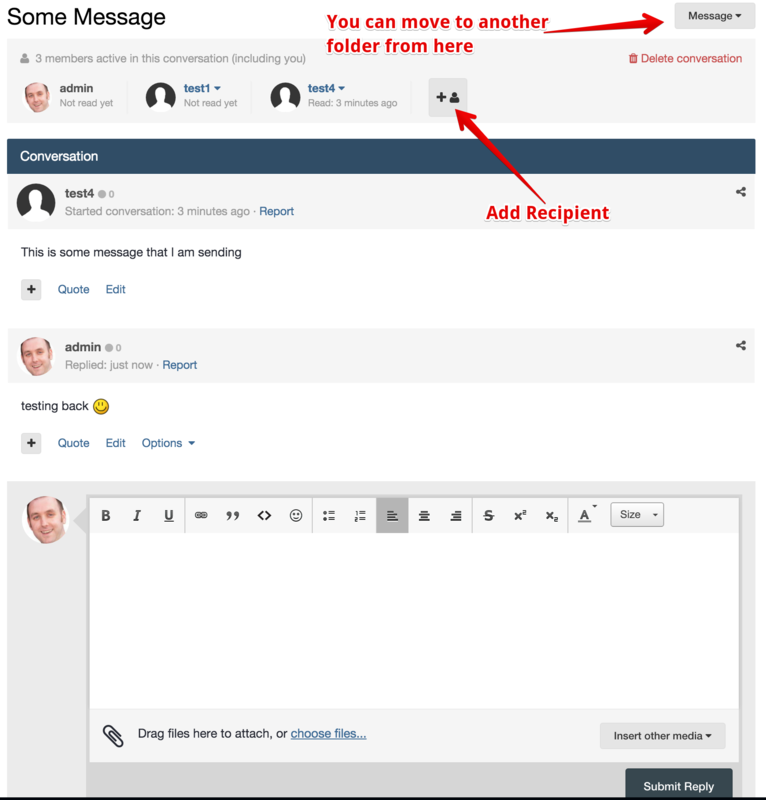 You can send messages to multiple recipients by typing their names within the "To" box. 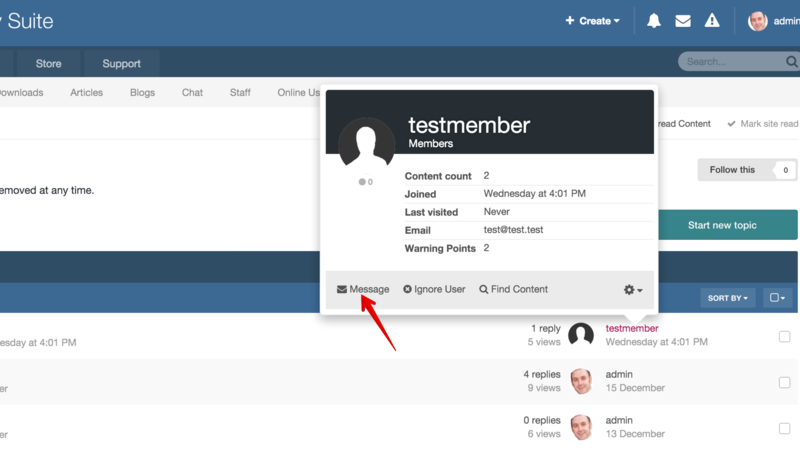 This field will suggest names by filtering through the member list as you type. When entering your inbox you will be presented with a screen similar to the below. From here you can search you messages, click on them to view, reply to your messages, filter and more. Clicking on the button in the top right will allow you to add folders to organise your messages. Clicking on this button will present you with a text box in which to enter a new folder name. 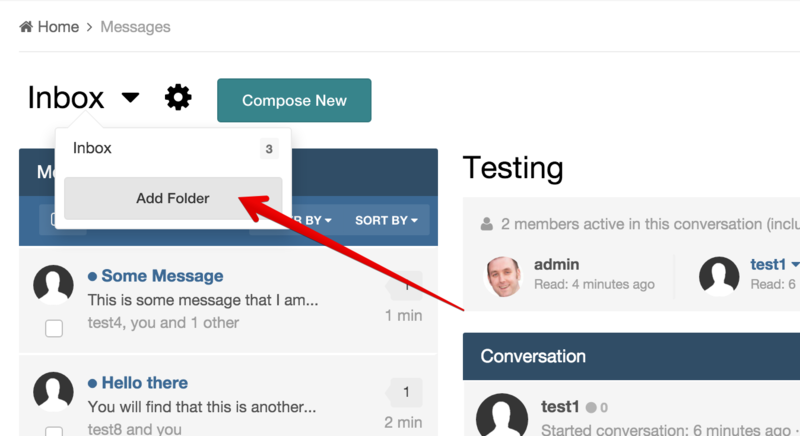 You can move messages to another folder using the button in the top right of any message.